India’s e-commerce market is likely to have a whopping 100-million customer base, with women being the major contributors, and would be valued at $15 billion by 2016, according to a report released by Google on Thursday. Online search giant Google, in association with Forrester Consulting, released their latest report on online shopping trends, indicating the figures for India. From a customer base of mere eight million in 2012, it has climbed to 35 million in 2014, according to the report, which also claims that by 2016 India’s customer base will be 100 million — a phenomenal growth of over 12 times in just four years. The current valuation of the market, which stands at about $3 billion for e-commerce now, is also set to shoot up to $15 billion by 2016. 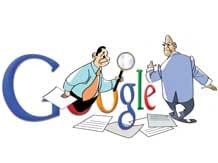 The report was released during Googles’ announcement of the Great Online Shopping Festival — the 2014 installment of its yearly online shopping festival between December 10 and 12. Following browsing trends, which have broadly shifted from the desktop to mobile devices in India, online shopping is also expected to follow suit, as one out of three customers currently makes transactions through mobiles in Tier-1 and Tier-2 cities. The number in Tier-3 cities is even higher, with every with every second person shopping online through their mobile. In 2014, 50 per cent of shopping queries were made through mobile devices, compared to 24 per cent in 2012. Identifying the gender contribution to the shopping debate, the report states that women would be the most significant contributors to this growth comprising almost 40 per cent of the projected customer base. Although men account for the majority of the customer base as of now, in Tier-1 cities, women spend almost double the amount men spend on online retail. In terms of frequency as well, women outnumber men, shopping more number of times. Nitin Bawankule, industry director for e-commerce, Google India, said the current gap was due to product categorisation where electronics and mobiles make up for almost 75 per cent of the traded products, mostly dominated by men. Women still maintain their hold in the “soft segments” such as apparels, skin care products, jewellery, home furnishings, small appliances, and accessories. However, Bawankule claims, as more and more women have taken to the browsing experience, the growth rates in these sectors have shot up significantly. For instance, the highest growth rate was seen in the apparel segment — almost 64 per cent over last year, followed by baby care products at 53 per cent, beauty and personal care products at 52 per cent and home furnishings at 49 per cent. Compared to this, the currently dominant segments of electronics has seen the least growth of just about 35 per cent over last year. The online retail boom, however, has been plagued by a series of unfortunate events with some of the major e-commerce giants receiving flak from consumers during the bumper sale days. Google claims though the growth numbers seem promising, a staggering 62 per cent of the respondents in their survey showed they were not satisfied with the service from the merchants. Privacy remained the top concern with almost 65 per cent of the respondents, who said they were gravely concerned about sharing their personal information. The tangibility factor amounting to trust also remained a major deal breaker with almost 55 per cent thinking the products may not be up to the mark.